Party your way out of the working week with Weekend Special, a brand series of late night dance parties featuring live performances, DJs and curated visuals! 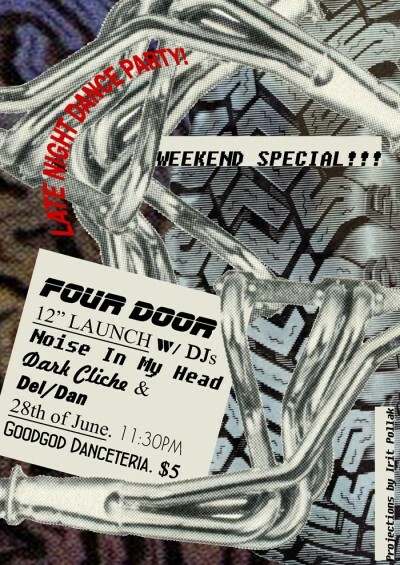 It’s coming to the Danceteria for the first time with DJs Noise In My Head, Dark Cliche and Del/Dan playing creepy techno, house and pop! If that’s not enough, Four Door launch their debut 12″ with a live set. They’re a techno-influenced collaboration between Jonathan Hochman (Holy Balm) and Matthew Hopkins (Naked on the Vague/Half High)!